There are tons of crowdfunding platforms out there.The great majority of these platforms are just general, in terms of scope – think of the Kickstarters and Indiegogos. However, there are a few niche focused platforms that are incredibly interesting. One such platform is Pubslush. Pubslush is a crowdfunding platform for books. It allows authors to raise money and gauge the initial audience for new book ideas. The mom and daughter team behind Pubslush, Hellen and Amanda Barbara, were kind enough to answer a few questions for us. Pubslush is a funding and marketing platform that can help authors in the pre-publication phase of the publishing process. Talking about and building a buzz around your book before it’s published is essential, yet very difficult as there’s no physical product yet. Through Pubslush, you can create and launch a book campaign that will serve as a landing page to drive traffic to your book before it’s published. Your book campaign will also encapsulate you as author with your photos, a video, and links to your social media and website. Why did you create Pubslush? Our passion comes from knowing that there are so many great writers out there whose words will never be read without our help. Publishing is such a guessing game, but it no longer has to be. The reality is if a book can’t establish a considerable audience and funding in advance of publication, it probably isn’t going to be the next bestseller. I hope that Pubslush will do for publishing what “American Idol” did for music by reintegrating readers in the publishing equation. Also, we hope Pubslush will increase the professional quality of self-published books. Self-publishing is fantastic because it’s so accessible, but the quality often suffers because of financial restrictions and lack of knowledge. Pubslush is trying to make the process more democratic and let the readers have a voice. I am a huge reader — I love seeing the new books that come on Pubslush, and I support books that tell stories I would genuinely enjoy reading. Pubslush is a direct tribute to J.K. Rowling. We were shocked to learn that 12 publishers rejected her first Harry Potter book. This seemed to indicate that there was a problem within the publishing industry. Upon further investigation, we learned many bestselling books were in the “slush pile” and rejected time and time again, which means there are countless bestsellers out there that would never reach the shelves under the current publishing system. As with all creative projects, writers can’t share their work without monetary backing. That’s where Pubslush comes in. Pubslush is also a tribute to the TOMS Shoes movement. By implementing a one-for-one model, we are able to create a sustainable nonprofit brand that’s able to combat illiteracy. Mother and daughter team, Hellen and Amanda Barbara, own and operate the Pubslush. Hellen Barbara brings a broad background in business, philanthropy, and education to Pubslush. Prior to founding the Company, Hellen founded and served as President of For the Kids Foundation. Her background also includes positions as a Special Events Manager for MarineMax, a Buyer at Macy’s Corporate, a Travel Advisor at Virtuoso, and an Early Childhood and Spanish teacher. Hellen holds a Master of Science degree in Education and a Bachelor of Business Administration degree in International Management. She is fluent in both Spanish and Italian. She presently serves on the Board of Directors for the Gavin’s Got Heart Foundation, and holds membership in both the Power Circle of 85 Broads and the Exceptional Women in Publishing organization. Amanda Barbara currently serves on the Pubslush Foundation board of directors, is a director and co-founder of The Barbara Family Foundation and a member of the Young Entrepreneur Council. Prior to her current endeavors, Amanda worked as a Corporate Account Manager at Big Geyser. She holds dual Bachelor of Arts degrees in Public Relations and Creative Writing from the University of Miami. What’s the next step for Pubslush? Pubslush just launched in UK and will be growing to Canada and Australia by the end of the year. 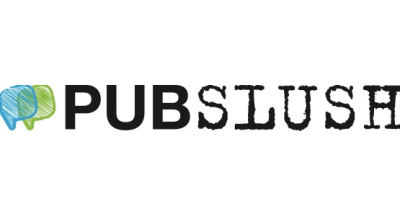 Pubslush will also be opening its doors to any publishing and literary project starting June 1st. This will allow a larger gateway into the publishing world.